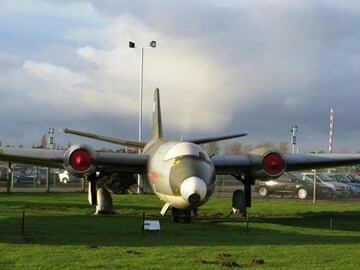 We are now making preparations for our one day event to celebrate the 70th anniversary of the Canberra aircraft. This event will take place on Saturday 18th May 2019 and will be centred around our extensive collection of Canberra aircraft and cockpit sections. The day will also mark the 20th anniversary of the Tribute to the Canberra event at our Gateway Aviation Site back in 1999, which was the forerunner of Cockpit-Fest. We anticipate that this event will include: Canberra veterans; visiting authors; model displays; aviation artists; and hopefully visiting displays of artefacts held by various individuals and collections around the UK. A number of possible contacts have already been identified by the museum’s event organisers and these people are now being contacted to invite them along to the event. Some commitments have already been given to support the event. Special Announcement: During the event digitised extracts from the Roland Beamont interviews that the museum recorded shortly before he passed away, will be played in the Cinema area in Hangar 2.